Cornelius Houweling, a Dutch immigrant to Canada, started Houweling’s farming operations in 1956 in Langley, British Columbia with a floral greenhouse and berry farm. His son Casey brought entrepreneurial ambition to the family business when he joined it 20 years later. 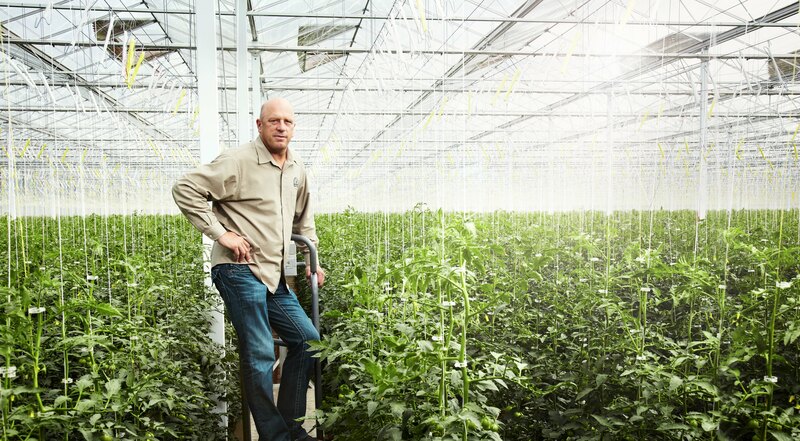 Seeking alternatives to the volatility of the floral industry, Casey spearheaded Houweling’s entrance into beefsteak tomato production with the purchase of farmland in Delta, British Columbia to house a six-acre greenhouse focusing on tomatoes. The tomato greenhouse venture proved to be successful and increased to over 50 acres, but Houweling’s was stymied by a northern climate that limited the tomato growing season to eight months a year. Chasing warmer weather, Casey stretched Houweling’s to Camarillo, Calif., where a 20-acre greenhouse was built in 1996 on a site that has since swelled to 125 acres of tomatoes and cucumbers. Casey’s drive to innovate has made Houweling’s a more environmentally sound and efficient enterprise. He sought to improve upon the traditional greenhouse design dependent upon passive roof vents that diminish yield by reducing light and ventilation. 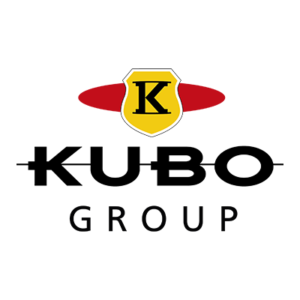 With greenhouse manufacturer KUBO, Casey developed the Ultra-Clima greenhouse that creates a controlled environment through a valve to draw air into the greenhouse and fans to regulate temperature using warm and cold water. Ultra-Clima eliminates the need for 90 percent or so of the traditional roof vents, prevents pests through pressurization and boosts production. It does, however, require power. 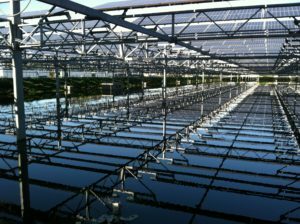 Two power Ultra-Clima greenhouses were completed in 2008, in which Houweling’s worked with American Capital Energy to harness solar technologies. Houweling’s installed a five-acre solar field generating 1.1 Megawatt. Unused energy is exported to the California energy grid. Houweling’s also installed a roof-mounted solar thermal heat system to produce thermal energy stored in a 1 million gallon storage tank Bell said acts as a thermal battery. Houweling’s tackled water wastage as well. It counts on computer-run drip irrigation to safeguard its operations from excess watering. Any water the plants don’t pick up is circulated via an on-site water treatment and recirculation facility. “It takes out impurities and restores the water to clean, perfect irrigation water and reduces our overall water usage,” explained Bell. Houweling’s buildings contain gutters to collect rainwater for irrigation purposes. In 2013, Houweling’s added co-generation engines – the first of their kind for greenhouses – to its list of energy initiatives. 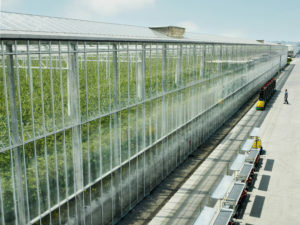 Three locomotive-sized engines positioned next to the greenhouses generate 13.2 Megawatts of energy and produce carbon dioxide to fertilize plants. Houweling’s co-generation engines fall under the framework outlined by AB1613, which allows operations such as Houweling’s to move forward with co-generation engines by defining power purchase agreements they can enter into with utility firms. Energy produced by the engines not employed by Houweling’s can be exported to the state grid. “We are quite proud to say that we are the only company that has successfully completed the requirements of that program,” said Bell. Houweling’s has spent millions of dollars on its energy and water initiatives. Specifically, it invested more than $15 million in the co-generation engines, $6.5 million in the solar panel field, $2 million in the solar thermal system and $4.5 million in the water treatment and recirculation facility. 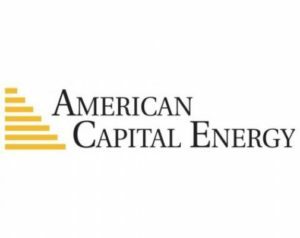 In addition, Houweling’s put up a $1.5 million bond to cover the cost of an environmental assessment and upgrade of the power line crucial to the installation of the co-generation engines. Project delays have escalated costs. The co-generation engines, for instance, were three years behind schedule. “When we went into it, there was the expectation that they would pay out in five years, but when you factor in the delays and additional costs – we did have one engine that had some failure that needed to be replaced – I would speculate that we are probably still five years away now,” said Bell. On an annual basis, David Bell, chief marketing officer of Houweling’s, estimated those 125 acres yield the equivalent of 3,000 acres of field tomatoes. With its greenhouses flourishing in Camarillo and Delta, British Columbia, Houweling’s is spreading. It is in the process of constructing a 28-acre greenhouse 75 miles south of Salt Lake City that is expected to expand to 113 acres in five to 10 years. Bell argued the biggest factor in making Houweling’s water and energy initiatives thrive is measurement. “If you don’t do it right, not only do you not get your return, but there are penalties that can further push back your payback,” he said. Houweling’s uses a companywide enterprise software system and specialized programs for its greenhouses to constantly measure important data points. Overall, Bell emphasized Houweling’s wouldn’t have proceeded with its initiatives if it weren’t fully committed to seeing them through. “If you are afraid to make that commitment or if you are expecting it to be easy, it won’t, and if you aren’t committed to negotiating though the challenges, you won’t be successful,” he said.